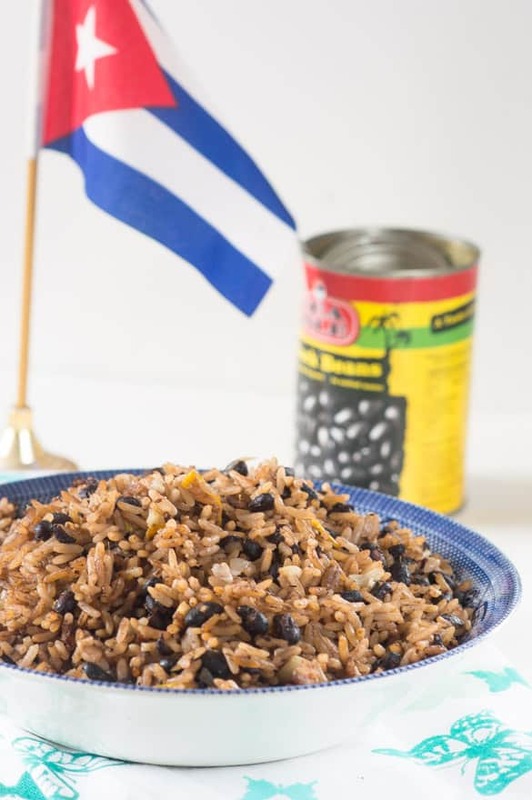 Moros y cristianos – Bring a taste of Cuban to your household with this delicious pork free version of black beans and rice. Now it’s time to tap into my Cuban side with this wonderful dish made with brown rice. Before you cringe at the thought of using whole grain rice, let me give you the good news. My recipe will provide you with the same texture as white rice..
What is moros y cristianos? In short, Moros y Cristianos is Spanish for black beans and rice, ‘moros’ refers to the black Muslims who invaded Spain and ‘cristianos’ meaning the Christian people. Cubans, like their English speaking Caribbean neighbours, love their rice and beans, though it is more of a side dish. 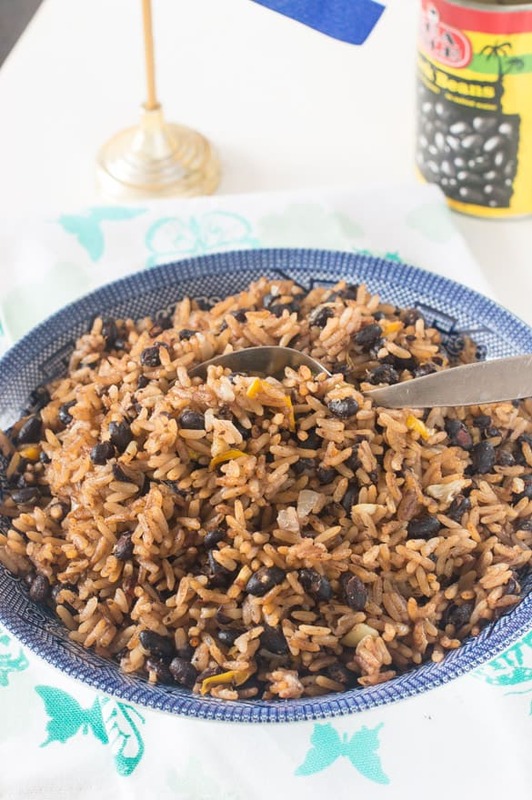 Is moros y cristianos the same as rice and peas? 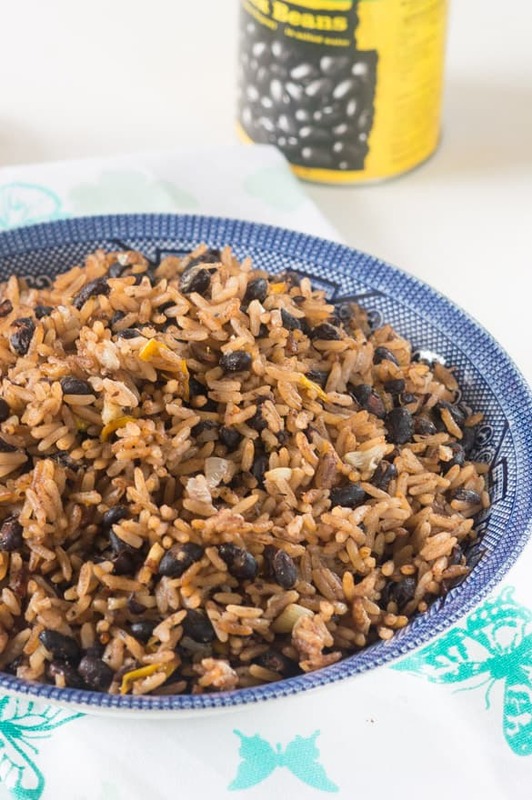 Cuban black beans and rice (moros y cristianos) differs from the other English speaking islands, the flavour is more subtle and no coconut milk is included in the recipe. Cubans are huge pork eaters, they adore pork, ironically I do not eat pork, in fact my immediate family do not eat it, so I guess we are outsiders. Despite the difference in flavour from the rest of the Caribbean I can truly say Moros y Cristianos will be added to your exotic list of foods to eat because it truly is full of flavour and depth. 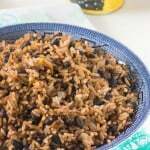 This moros y cristianos recipe uses wholesome brown rice. Brown rice like many whole grains is an insoluble type of fibre, unlike soluble fibre which breaks down in the digestive tract and dissolves in water, insoluble fibre remains intact, helping with the formation of stools and easing constipation. Many people complain that a diet high in wholegrain fibre can lead to excess gas and bloating. This is caused by how whole grains are digested and expelled by the body. This Cuban dish was made using organic pre-soaked grains to ease digestion. It does take a bit more prep work, given that the rice should be rinsed and soaked for several hours or even overnight if possible. Not only does it aid digestion, it also shifts some of that excess starch. Simply add a splash of lime to the rice water and let the ingredients work their magic. The colour of the rice stems from the black bean liquid. I used dried beans as they are a zillion times cheaper than the canned stuff. The canned beans are certainly more convenient but work out to be expensive. Save yourself some money by purchasing a 3kg bag of beans for £3 as opposed to £1.50 per can – you do the maths. Save the bean juice – Whatever you do, whether you use dried or canned beans – DO NOT throw away the dark water, created by the beans. You need this for colour or else you’ll end up with white rice with black beans and you don’t want that. If it’s your first time cooking with dried beans, they need to be soaked overnight in water and cooked for almost an hour. 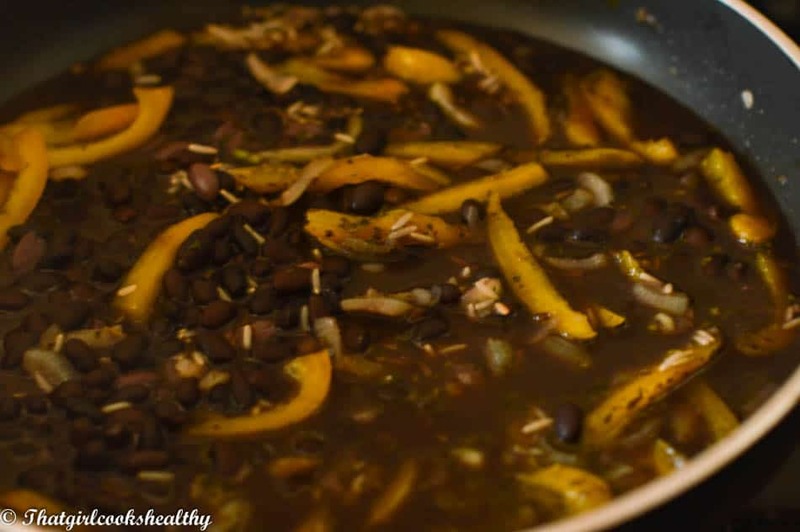 Don’t worry if you’re fazed by all the prep work, you can always skip this step and start off your moros y cristianos recipe with canned beans (see the steps below) and omit the prep work. Once the overnight soaking is done, it’s smooth sailing from there. 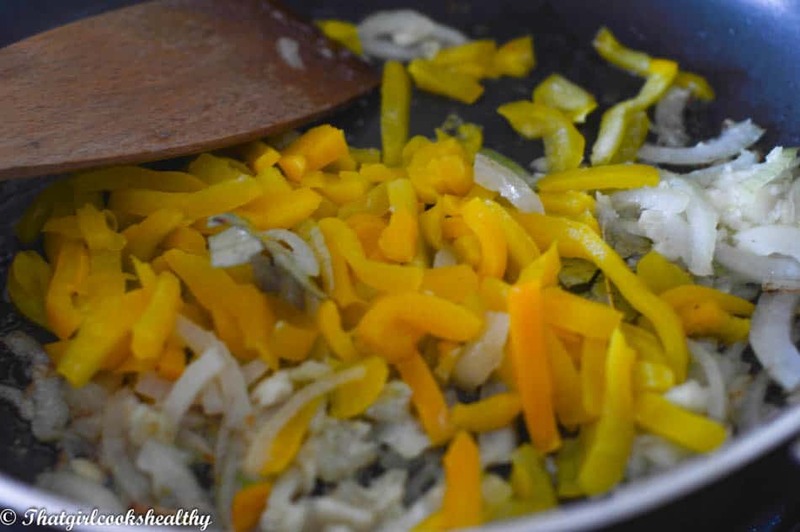 The foundation of the recipe – the essential condiments – garlic, onion, herbs etc.. need to be sautéed for 3-5 minutes. Once the ground ingredients are sautéed it’s time to add the rice, water and beans to the large pan. Did I mention you’ll need a heavy duty non stick frying pan for this recipe? Yes, a bit unusual but a large circumference is necessary for the rice to cook in its entirety. Furthermore, you’ll need to give the pan a frequent shake throughout cooking. The rice should begin to absorb the water half way through the slow cooking process. Brown rice takes a longer time to cook and a larger quantity of water, so moisture is heavily relied upon to yield softness. 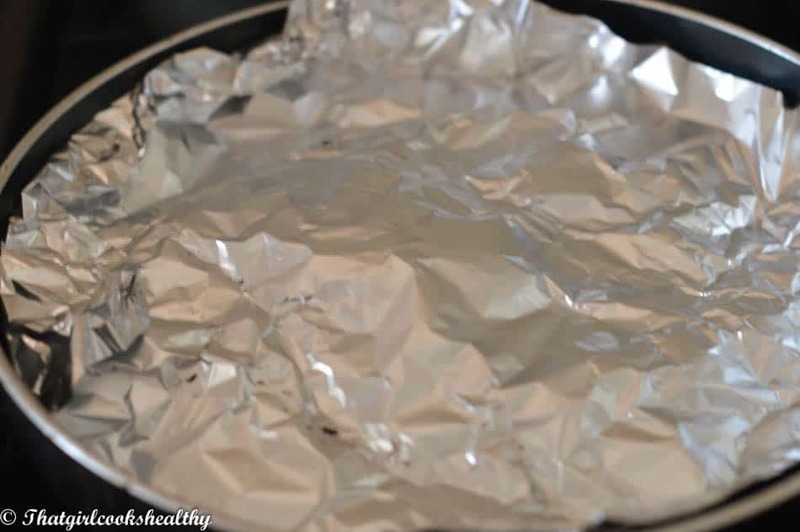 Around 45 minutes into the cooking, remove the frying pan lid and cover the rice with a piece of foil to retain the level of moisture without adding more water – cover with lid for double barrier. The final result should be soft, fluffy moros y cristianos that’s not sticky. Soak both the rice and beans separately overnight. Discard the water from the rice and set aside. If using dried beans, put the water with the beans to boil and reduce to medium heat until tender. This should take 50 minutes and beans should be soft to the touch. The water from simmering will reduce to 2 cups. Sautee the onions, garlic and the remaining ingredients on medium heat in the olive oil for 3-5 minute until slightly brown. Add the readily available beans in water, and rice to the frying pan with the sautéed vegetables. Cover the pan and reduce heat to low. If using dried beans use the extra cup of water instead. Allow the rice and beans to slow cook for 1 hour, check the level of moisture throughout and shake the frying pan periodically. Halfway through cooking the water should have absorbed almost completely. There should be enough moisture present to cook the rice. If the rice seems too dry, add 1/4 cup more of water, to replenish. About 45 minutes into cooking, cover the rice with the foil and allow the rice to continue to stem whilst retaining moisture for another 15 minutes. Don’t forget to add the lid to the pan to act as a double barrier. Once the rice is finally cooked it should be soft (not sticky) and fluffy. Use 2 1/2 cups of liquid (no more, unless required) for 1 cup of rice. Careful not to oversaturate the rice, if adding more water as rice will be sticky and weaken the flavour. Ensure to rinse and soak the rice overnight to soften and help aid digestion. Cooking guideline will vary depending on the type of beans used. Thanks Tekesha, I had to do plenty of trial and error to perfect this dish. This looks wonderful, and I love that you used brown rice! I’ve been craving Caribbean food lately, so I’m thrilled to have found your blog, thanks to foodgawker!